Over 14 million Americans suffer from alcohol abuse or dependence and nearly 43% of Americans have grown up with, or are married to, someone with an alcohol problem. Illicit drug and alcohol use cost American taxpayers over $143 billion annually. If you, or someone you love, wants to overcome drug or alcohol addiction Addiction FREE will help you discover 5 ways to step out on the road to recovery. 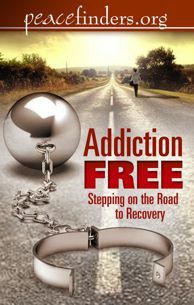 Also included is a list of resources to assist you in becoming addiction free.